How to Start Brainstorming Your Personal Statement Draft? Writing your personal statement is hard. Where do you start? What do you write about? Check out the The Premed Playbook: Guide to the Medical School Personal Statement preorders! If you’re applying this cycle in 2018 to start medical school in 2019, hold off on the preorder and take a look at the eBook version which is set to be released in April. Check them out on Amazon or Barnes and Noble. 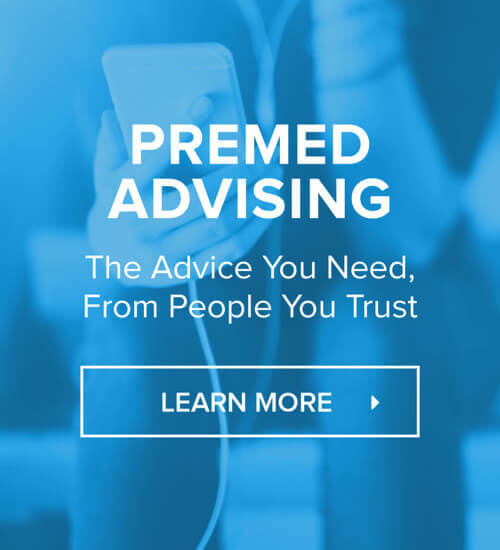 Please do check out all our other podcasts on MedEd Media including The OldPreMeds Podcast, The MCAT Podcast, Specialty Stories, and Ask Dr. Gray: Premed Q&A. Another part of our network is The Short Coat Podcast, a production of the Iowa Carver College of Medicine. In this episode, learn how you can start looking at your personal statement and how to start it. So many students delay and delay and they don’t know why. The reason is as a premed student, you’re most likely a very Type A personality. You’re used to doing everything as perfect as possible. So you don’t want to start your personal statement until you think it can be perfect. This the same problem students have with the medical interview. (Also check out The Premed Playbook: Guide to the Medical School Interview) When students practice for the interview, they keep it in their head and they don’t want to say anything out loud. And this is mainly they’re thinking of perfection in their head. The same thing with the personal statement. You try to keep everything in your head until you think they’re perfect. Then you send it to somebody to get their feedback. And usually, the feedback isn’t very good because the majority of feedback students get is grammar. However, most students get the critical feedback they need. You are constantly editing your thoughts, trying to get the perfect personal statement in your head before you ever write a word. This is not going to work. You need to get it out of your head. [05:45] Scared of Getting Thoughts Out of Your Head? Use Rev.com! Invest in an app called Rev, that costs $1 per minute of transcription. You simply open up your app, hit record, then start dictating into the phone. This is a good practice since when you become a physician, you would have to dictate your notes. So start dictating your thoughts. It’s much harder to edit your thoughts as you’re talking than it is to edit your thoughts as you are writing. You need to get those thoughts out of your head. What most students do is open up their word processing app and start typing without ever thinking. No outline. Remember when you were writing your essays in middle school or high school. You start them with an outline. It helps you gather your thoughts. And that’s what you need to do when you’re starting your personal statement writing. You need to gather your thoughts, your ideas. Where are you going with this personal statement? If you don’t have an idea of where you’re going in your personal statement, it’s going to show since the story you’re going to be telling them will not be coherent. One way to gather your thoughts is mind-mapping and there are plenty of free mind-mapping apps online. Or just do this old school. Grab a pen and paper. Draw little bubbles and put in your thoughts and draw lines to connect things. It’s just the same thing as outlining things. First, understand the goal of the personal statement. The goal is to tell the reader why you want to be a physician. It’s not to talk about you’re going to be an amazing physician or why you have the skills necessary to be a physician. It’s not to talk about how your path as a nontrad student has contributed to your ability to be a great physician. The goal of the personal statement is to explain to the reader and show them through your writing why you are following this path. Where did you get your initial exposure to medicine? A lot of students start it by a story about being an EMT and then go from there. They say they want to be a physician so they can do the things they want to do which they can’t as an EMT. This sounds great. But why did you become an EMT in the first place? You need to start at Day 0, when did this thought first pop into your mind? It can be your parent who’s also a physician or your own illness or injury or your family member’s injury. Sure, you might say this sounds cliche. But if it’s your story and you’re telling your story, it’s not cliche. So you need to tell your story and show the reader your experiences and the emotions behind everything that has happened and how that’s motivated you. Again, not just what happened, but why. Why has it influenced you to come this far? Think about the initial experiences that drew you into this. What were some following experiences and some extracurricular experiences after the initial one? What was that first seed that was planted? And what experiences after that watered the seed and helped that thought grow into where you are now and getting ready to apply to medical school. There has to be something substantial that has propelled you down this path to go to undergrad and get to this point of writing your personal statement. Show that journey. Don’t show it by talking about the things you love. You may start to talk about educating patients, but there’s more to that. Or you may want to be an entrepreneur and that writing about that will show the reader you’re unique. But the reader is not going through a checklist when they’re reading a personal statement and trying to figure out if you fit different boxes. They’re looking at it to try to understand your reasons for going down this path. They want to see if you’re interesting enough to bring in for an interview. It’s not the goal of your personal statement to write an essay about all the experiences you’ve had on this journey. You have your extracurriculars (ECs) in your application to write about them. The ECs are your opportunity to talk about whatever you’ve done. But the goal of the personal statement is to talk about why you want to be a physician. This being said, you need to start gathering those ideas. And if you’re still a couple years away from applying to medical school, that’s great. For now, you should be journaling all of your experiences. If you shadowed a physician, journal what you learned that day and how what you saw impacted you. Were there emotions when you left? Write down those thoughts. Whatever you’re doing, journal everything so that when it comes to applying to medical school, you’re able to write about it and talk about it. As you’re in this first step of gathering ideas, don’t think about everything you’ve done and try to fit that into your personal statement. Think about those very few experiences that have left that impact on you that made you decide this is what you want to do. They should be clinical experiences. Otherwise, if you want to talk about research, they may think why don’t you just go get your PhD. Again, if you want to do research, go get your PhD and do research to impact patients. But why do you need the MD if that’s the impact you want to make. The impact that MD and a DO make on patients is direct clinical care. It means putting hands on the patients and stethoscopes on them or poking them with needles to draw blood. It’s direct patient contact and patient care, not research. Research is important. But don’t make that the goal of your personal statement, to talk about how much you love research if what you’re hoping to do is become a physician. You can do an MD/PhD or DO/PhD, but then again, your personal statement doesn’t change that much. In fact, you get an extra essays to write about the research you’ve done and why you want to be a researcher. So you have that opportunity. Now that you have an outline, you need to get those ideas out on paper. It can be in the form of a physical paper, typing a computer, or dictating all of your thoughts through the mind map. Just get all your thoughts out of your head. The next step is to wait. You need to just let it sit for a bit and then come back with fresh eyes. You can give it to somebody to get their feedback. When you buy the Guide to the Medical School Personal Statement, there’s a link there to an outline or worksheet. You can give this to somebody giving you the feedback so they would have a guide on how to review it for you. This way, you get critical feedback. You’ve done the first step of getting it started so next is to get feedback. Take the feedback and apply it even it means sometimes that you need to start over. Don’t take that as a slap in the face. Instead, take that as good, constructive feedback. In some schools though, such as NYU, they don’t use secondary essays over personal statements to determine who to invite for an interview. Secondaries are much easier to write than personal statements since you’re answering a question. So it’s not as vague as why you want to be a doctor. When you get an critical feedback while you’re writing, it’s okay. It’s doesn’t mean anything other than you should probably tweak some things. It’s like you’re course correcting. And that feedback will show you some directions on how to correct your course and go back to where you want to go. Now your personal statement could go through different people giving you feedback. Get feedback. Absorb it. See if it’s something you want to do and change it. Get through the process. Again, check out the The Premed Playbook: Guide to the Medical School Personal Statement and learn the dos and don’ts of writing your personal statement as well as some examples of personal statements with feedback so you can get ideas from them. 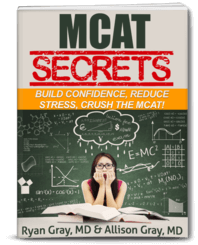 ← What MCAT Score Do I Need If I Have a Low GPA?